A Marine Corps veteran was recently present at an open house to thank Healing Heroes in the Heartland for helping her recover and walk. Although Healing Heroes in the Heartland inaugurated in 2013, utilizing holistic procedures to help individuals with anxiety, trauma, or pain is not a recent approach. “Three thousand years ago, people had depression,” Hong quoted. Similar programs by other organizations focusing on healing and rehabilitating active duty military members and veterans also utilize a holistic approach to promote a faster and complete treatment of not only physical injuries or conditions but also emotional complications, such as PTSD, or post-traumatic stress disorders. From individuals curious of the group’s services to supporters who’ve previously benefited from its services, more than 60 people attended this particular open house event, including soldiers who’ve been referred by doctors. Marine Corps veteran Heather Petersen of Bettendorf, acknowledged Healing Heroes for supporting her through her recovery from a severe accident that left her in pain. In August of 1998, Petersen was a heavy-equipment mechanic serving in Japan. She was ordering parts by a table when a steamroller near her jumped into gear. Heather Petersen was pinned between the table and the steamroller. She described her experience during the accident, which lead to severe back complications, nerve impingement, joint and leg pain, Post-traumatic stress disorder or PTSD, as well as difficulty getting out of bed and walking due to the pain and other symptoms. Petersen then learned about Healing Heroes in the Heartland at a health fair at the Rock Island Arsenal, where she is a contract specialist. She recognized that if it weren’t for Angel Hong, she wouldn’t have been able to walk and she would have continued utilizing medications supplied by the Veterans Administration. Currently she undergoes regular acupuncture, cupping therapy and chiropractic treatments. One of the major challenges for Healing Heroes in the Heartland involves getting active duty members and veterans alike to admit they need help. The association wants to expand its services to accident and abuse survivors as well as increase the amount of first responders. Paul Lappin, development coordinator of grants for Healing Heroes, described how many people resolve to taking medications, but there are other non-pharmacological ways to treat a variety of injuries or conditions. The group uses Chinese medicine, acupuncture, life coaching, massage therapy, and meditation to help overcome post-traumatic stress disorder, which Angel Hong mentions these treatment options have shown to be beneficial for the condition. Other local organizations, such as the El Paso Veterans Affairs Health Care System, have also established a variety of medical benefits for veterans and active duty service members alike. 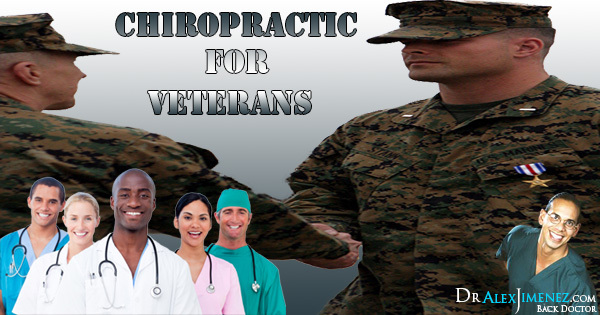 Both groups of individuals can now seek medical attention of their injuries through services such as chiropractic adjustments, manual manipulations, and exercises, as well as specialized services for emotional disorders or conditions affecting service members and veterans.